It's relatively easy to make friends or develop a relationship with someone, to be charmed, to be wooed, especially in this era of online social networking. During that "honey moon" stage, everyone is nice and friendly, seemingly putting their best foot forward into the relationship. It's only over time that the true nature of a person is revealed, as their character is tested by decision making or by adversity. That’s why the best advice anyone can receive who is still in the dating game is to "take their time" and find out as much as they can about the character of that individual they’re dealing with. Sometimes it can be difficult to know if you are friends with or dating someone who is an abuser. Abusers look for that weakest link in the life of their victims. The victim could lack self esteem, financial security, or a support system. Abusers will focus on that one area or several and use it to their advantage. For example, if the victim lacks self esteem, the abuser may work hard in the beginning to build their victim up with compliments but work to tear them down over time, or even tear them down drastically with an outburst of hateful words after the victim does something the abuser does not like. If the victim lacks financial security or even has financial security, the abuser will work to make the victim become more dependent upon them by showering them with money, or convincing them to give up a job or give up their ambition. If the victim lacks a support system, the abuser will move in to further isolate the victim from the little family and friends they do have, in an attempt to draw them closer to themselves. Abusers cunningly move into a person's life to conquer and to destroy for their own personal gain or profit. Their addiction to the power and control is an unquenchable force that will not die. 1. Don't be quick to hand over the keys - Keys to your car, keys to your home, keys to your office, keys to your post office box. Keys are a symbol of trust giving people the ability to unlock areas of your life, literally. Guard your keys well. 2. Don't share financial information - It's not necessary to talk about where you bank or your investment portfolio. Money is an area that abusers like to control early on if given the opportunity, even going as far as to tell you how you should spend your own money. 3. Password protect your cell phone - In this technology age, abusers like to control their victims by looking at their call history, contacts list and text messages. Don't give anyone the opportunity to access this information. 4. Protect the account information and passwords of all of your accounts - From email, to bank account, to your wireless service and cable, even electric, do not share your account, password nor password hints. 5. Tell a friend or family member about your new acquaintance, someone the acquaintance will know nothing about - In case the person ends up becoming a stalker, you should always have someone that you can go to about people you meet who can be a part of your safety plan that no one will know about. 6. 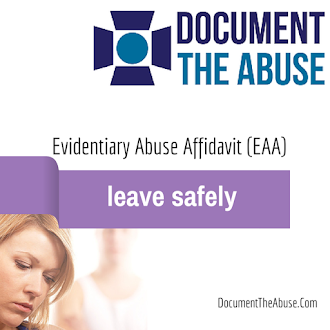 Conduct your own back ground check - Utilize online keyword searches and resources such as public records searches, department of corrections websites both state and federal, and the National Domestic Violence Registry. Sometimes critical information about a person's past that can help you make an informed decision about the relationship is literally just one click away. The thrill of a new relationship is just that, a thrill, and it won't last forever; it's a rush, a high triggered by chemicals in the brain called endorphins designed to make you feel good. Utilize extra caution when forming new relationships of any kind. New friendly and romantic relationships can be rewarding but with abuse and violence being a traumatizing, financially devastating and even deadly fate to many in society, it's worth it to take extra heed and caution to protect yourself from an abuser. Lyn Twyman is the Deputy Director of the National Domestic Violence Registry and founder of Courage Network and Courage Empowerment Forum on Radio Party 934.com .